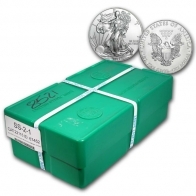 SwissBullion.ch sell a large range of monster boxes. 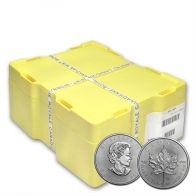 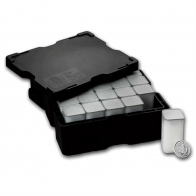 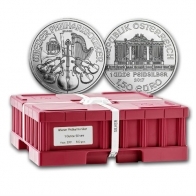 A monster box is a wholesale box of silver bullion coins, that normally contains 500 coins per box. 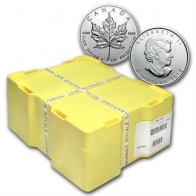 Monster Boxes of American Eagles, Canadian Maple Leafs, British Britannias, Austrian Philharmonics and Australian Kangaroos are all available. 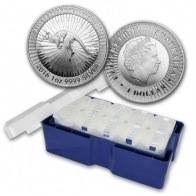 Coins supplied in Monster Boxes contain the silver coins in tubes of 20 or 25 coins each. 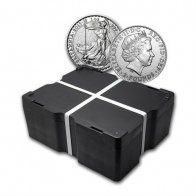 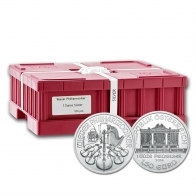 Silver Monster Boxes are available for VAT-exempt Swiss storage in Zurich or worldwide delivery, and may be purchased using Bitcoin, Altcoins, US Dollars, Pounds Sterling, Swiss Francs or Euros.